Administration Site Help Documentation Page Layouts: How to completely change the look and feel of your siteFavourites NOT appearing in the Page Layout? 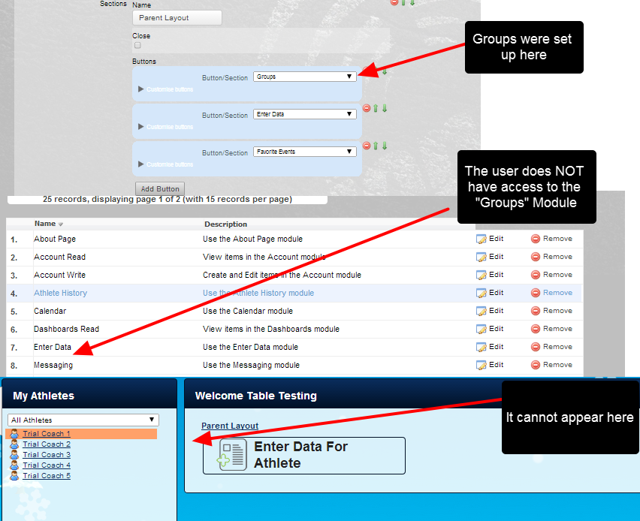 This may be because the Athlete History Module is NOT enabled for a user. 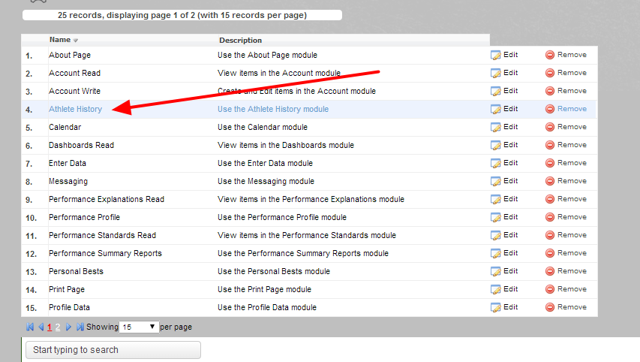 In order for Favourites to appear in a Page Layout, the user needs access to the Enter Data and the Athlete History Modules. 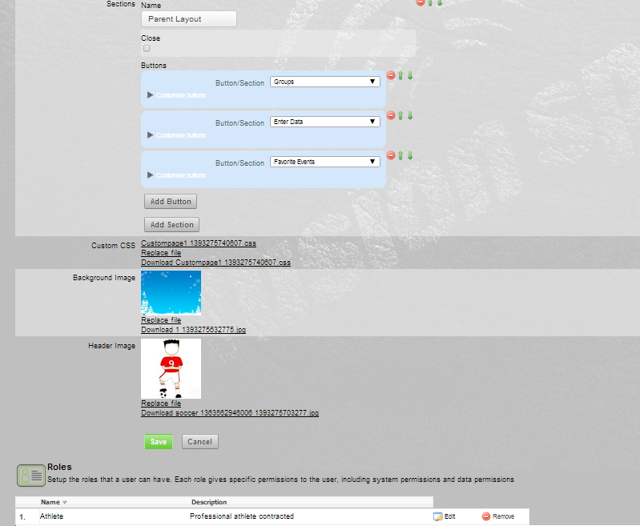 Even though this Page Layout has been set up with Favourites Events, any Event Forms set as Favourites will NOT appear because the Athlete History system permission has not been given to a user who will use this page layout. 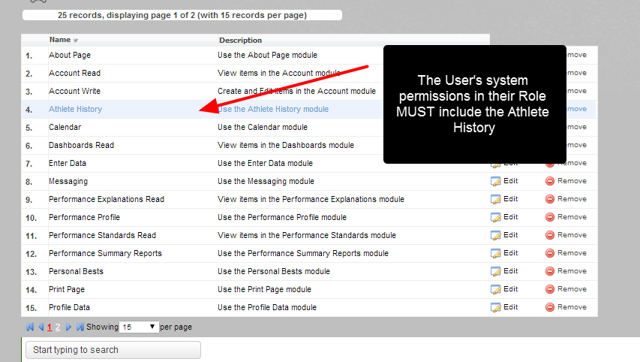 Please set up your Page Layouts as closely as possible to the system permissions of the users who will be accessing the system through the Page Layout.